Itchy eyes, sneezing, runny nose…. Allergies! It’s always that time of the year somewhere! Be ready with these natural allergy remedies. There is a remedy here for kids too! This post contains affiliate links for your convenience and for me to get a small percentage at no extra cost to you. Thank you! I began to have seasonal allergies in my late teens. As my health (I had severe adrenal fatigue) got worse my allergies did as well. I had something going on year around. There was a time when I always had a tissue in my hand. On top of the seasonal allergies I was allergic to mold, animal dander and had a severe multiple chemical sensitivity. I worked on healing my adrenals and supporting my immune system and most of my allergies are gone. And if I have symptoms they are nothing like they were before. 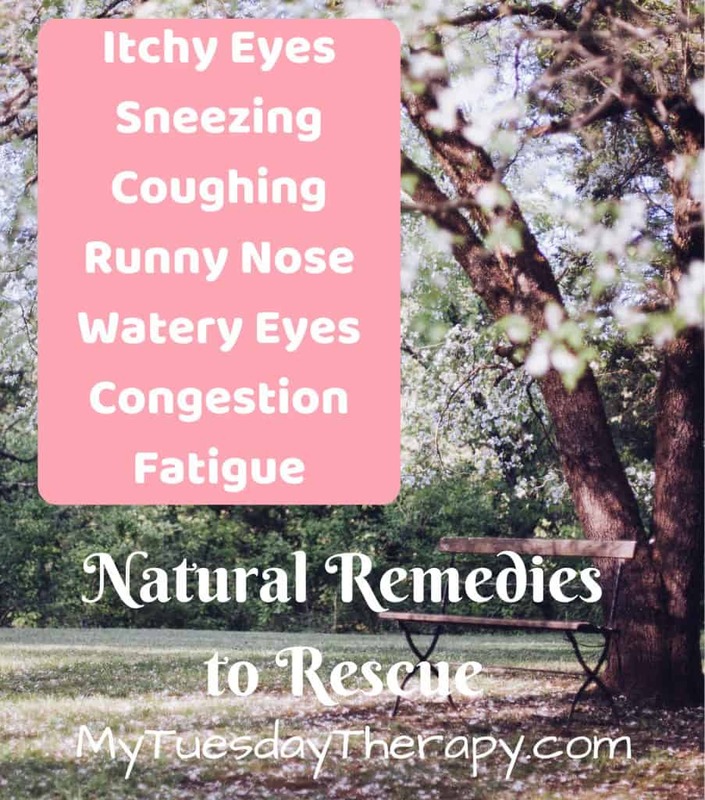 I tried various natural allergy remedies and found the ones that worked for me. Your immune system plays a big role in fighting allergies. 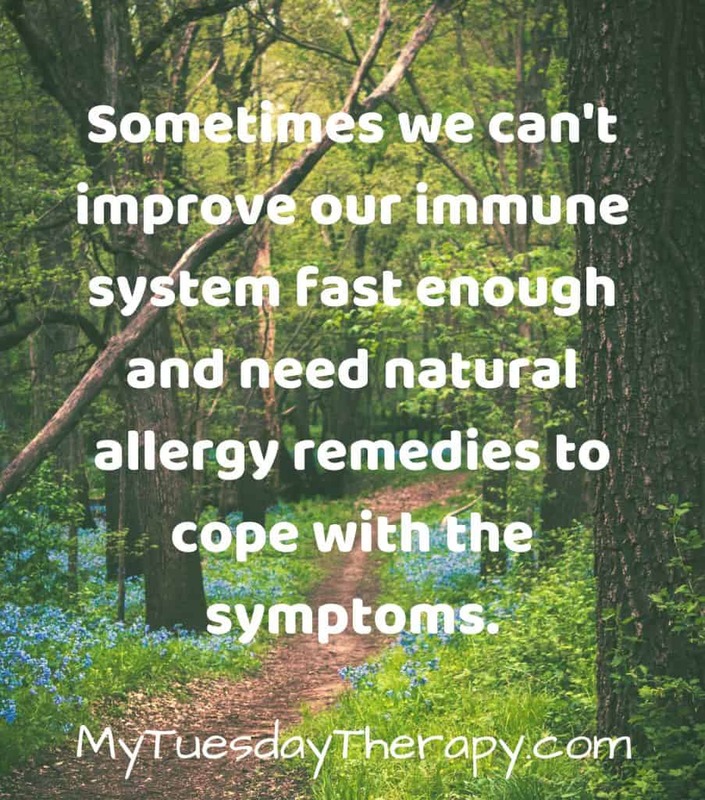 It is important to keep that system strong but sometimes we can’t boost the immune system fast enough and need a little help coping with the allergy symptoms. The product that I have successfully used is called D-Hist. It is an effective product that reduces the allergy symptoms. Vitamin C is good for your immune system. Quercetin is a flavonoid antioxidant so it is anti-viral, anti-inflammatory, and anti-allergen. Since quercetin is a natural antihistamine it is very effective in fighting allergy symptoms. 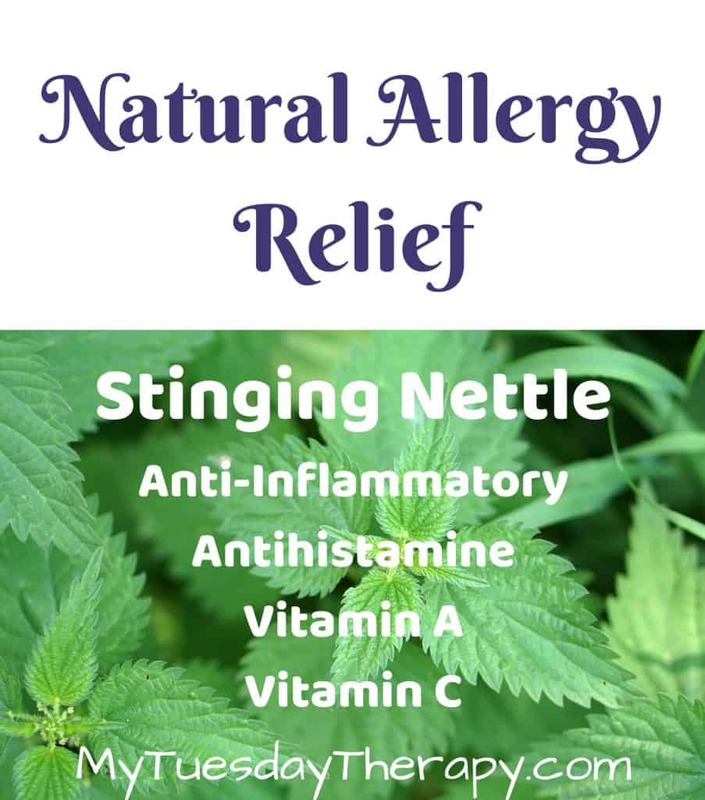 Stinging Nettles Leaf as painful as they can be if you happen to run into them are helpful in treating allergies. This wonderful herb is both anti-inflammatory and antihistamine. Bromelain is another anti-inflammatory enzyme which is helpful for allergies. N-Acetyl-L-Cysteine is an antioxidant with anti-inflammatory benefits. It boosts your immune system, helps with detoxification, and it also breaks down mucous. There is also a natural allergy remedy for kids called D-Hist Jr. This one is chewable. It has all the same active ingredients just in smaller amounts. If you don’t mind taking more capsules you could buy those ingredients separately and maybe save some money and get more of each individual ingredient. 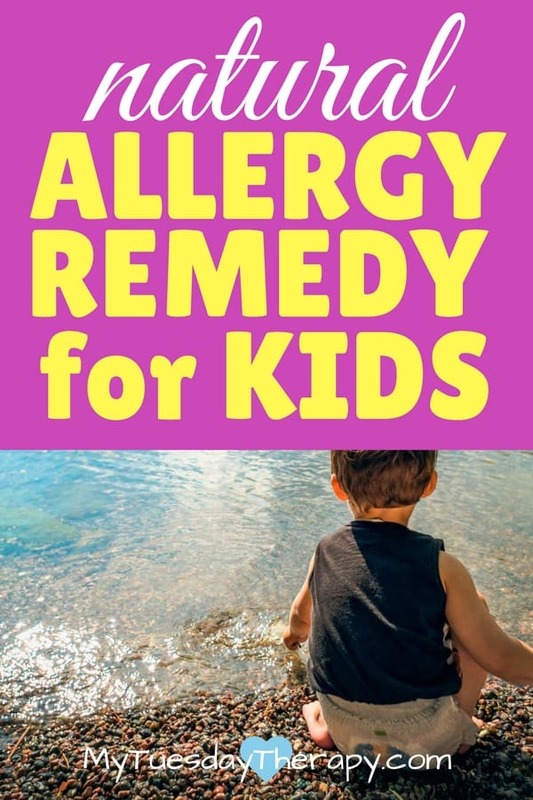 AllerMax is another allergy remedy we have used in our family. It is similar to D-Hist and less expensive. The label says it’s not for pregnant or nursing women. L-Histidine is an amino acid that is anti-inflammatory. It is a precursor to histamines which reduce sensitivity to allergens. Cayanne contains capcaisin. It helps to reduce stuffiness. Grape Seed Extract is anti-allergic and anti-inflammatory so it is commonly used as a natural allergy remedy. Pantothenic Acid is also called vitamin B5. It reduces congestion! Zinc is an essential trace mineral that gives an excellent support to your immune system. Essential oils are very potent and should be used carefully. 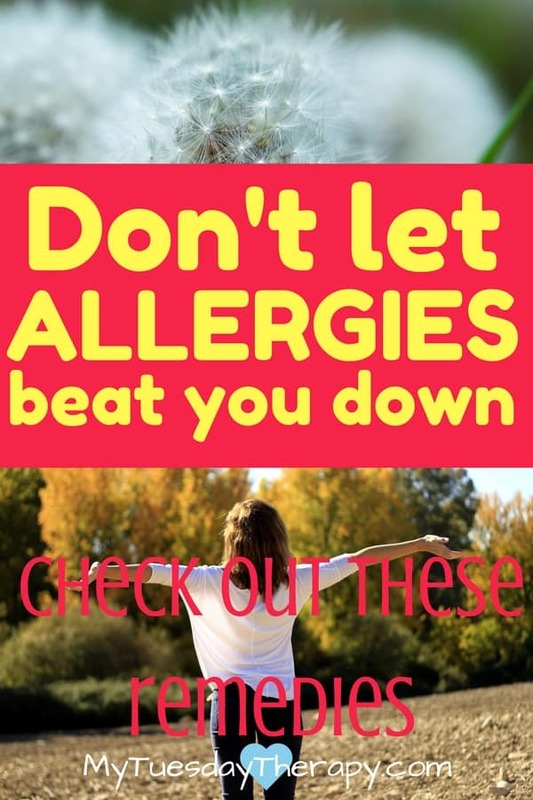 But they are great as natural treatment for allergies. Frankincense boosts your immune system. Helichrysum- Italicum has anti-inflammatory and antioxidant properties. It helps with allergy symptoms. Nerolina is a member of the melaleuca family and is used for fighting allergies. Breathe Easier is a synergy blend that promotes easy breathing. Allergy Rescue by DesBio is a great remedy for itchy eyes, runny nose etc. DesBio products are awesome. I have used several of them with good results. Allergena This homeopathic allergy remedy is tailor-made for various US zones so you’ll get relief for the specific pollen for that area. This worked well for our family. 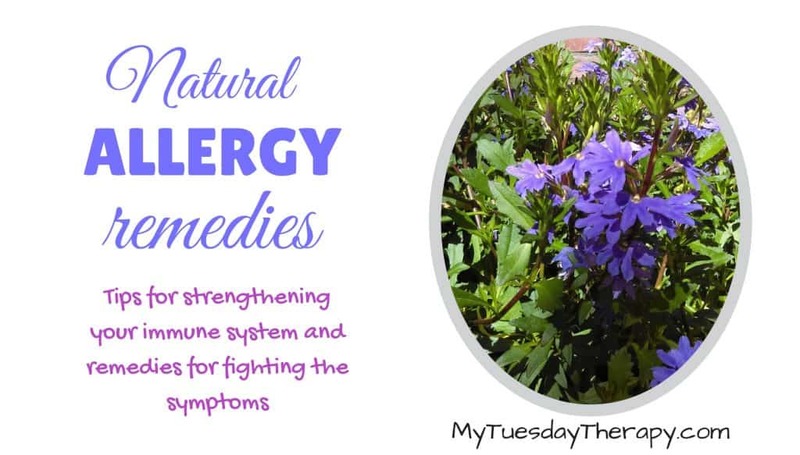 When you encounter an allergen (a substance such as pollen to which you have become hypersensitive) your immune system can overreact and began to produce antibodies. Antibody is a protein which removes viruses, bacteria, allergens etc. that invade your body. There are a few antibodies and the one involved with allergies is called Immunoglobulin E (IgE). Sometimes your body starts thinking that a harmless substance such as pollen is harmful to you and it begins to produce IgE to protect you. An allergen binds to the IgE and travels to the cells. When a couple of these IgE and allergen combos are together on the cell it begins to break down and releases chemicals such as histamine. The common allergens include pollen, animal dander and foods. Your immune system is your body’s defense system against the allergens you meet throughout the day. For one reason or another your immune system goes out of whack or gets weak and begins to think the harmless things as a threat. Based on that info I’d think that the first step in treating allergies would be strengthening the immune system. There are many ways you can support your immune system. The most important one is by making sure your gut is in good health. You are more likely to have allergies if you have a leaky gut. If your friendly bacteria count goes down and the harmful bacteria take over you can have yeast overgrowth. The yeast makes tiny holes in your intestines and then yeast and toxins leak into your bloodstream and cause allergic reactions. Inflamed gut is also a stressor on your body. When you are under stress your body produces cortisol to fix the inflammation. If you have a chronic inflammation your adrenals can wear out and can’t keep up with the cortisol demand. And then you won’t only have an inflamed gut but also adrenal fatigue which makes fighting allergens even harder. The easiest way to repair your gut is by taking a good quality probiotic. I take Klaire Labs Complete or Klaire Labs Women’s. Bifidobacterium Breve which is great at treating Candida. It also protects you from E Coli, improves digestion and supports the immune system. Lactobacillus plantarum promotes calcium abosorption, hormone production, and boosts the immune system. I’ve read good things also about Raw Probiotics. Try making some fermented vegetables like sauerkraut. I like homemade kefir. It is gentle on your stomach and tastes pretty good if you don’t ferment it too long. I have enjoyed preparing dishes from a cookbook called Cultured Food for Life. It has awesome recipes not only for main courses and sides but also desserts, dips and appetizers etc. You need to also make sure to flush out all the toxins you release when you take a probiotic or do other detox. Stay hydrated and if needed take a colon cleansing magnesium such as Mag O7. Vitamin C is well known for its benefits on immune system. Premier Vitamin C from natural sources is an excellent choice for a vitamin C. In addition to Vitamin C, it has Super C-Pro Blend (Acerola, Blueberry, Cranberry, Rosehips etc.) and Super C-Pro Support. It does not contain synthetic vitamin C and is gentle on stomach. The vitamin levels are lower in it because it is from a natural source. 1 to 3 capsules a day is what I have taken. Vitamin C 1000 Non Corn is an excellent option for those suffering from food sensitivities. The vitamin C in this supplement is derived from purified ascorbic acid which is easier to digest. Vitamin D is another awesome nutrient to boost your immune system. How much you should take depends on how deficient you are. Grassrootshealth.net has a vitamin D calculator that uses your weight, current vitamin D level and the desired level to calculate an estimate on how much you should take. I take this vitamin D once a week. It is 50,000 IU per week, little over 7,000 per day. The obvious ones of course are getting enough nutrients and sleep. Both of these are very effective in strengthening your immune system. Cut out as much of the processed food you can. Eat plenty of organic vegetables and good quality meat. Sleep is essential to good health. Before you get to the deep sleep stage your blood pressure drops and breathing slows down which gives your heart a break. Once you enter the deep sleep stage your muscles relax and tissue grows and is repaired. While you sleep your brain signals your organs to produce hormones that promote health. Your body also makes more white blood cells during sleep so you can better fight viruses and bacteria. Sleep is also vital for balancing hormones in your body and reducing stress. During deep sleep your parasympathetic nervous system activity increases and sympathetic nervous system activity decreases. Furthermore, sleep is the time when your brain’s waste-flushing system, the glymphatic system, is activated. Its function is to eliminate potentially neurotoxic waste. Just like lymph removes waste from your other organs cerebrospinal fluid removes waste from the brain. If you have trouble sleeping check out the post about Natural Sleep Remedies That Work. I found an awesome sleep supplement called Native Rest that has helped me the most. In this article 7 ways to Boost Your Immune System you will find several acupressure points that are beneficial for the immune system and other simple tips for strengthening your body’s defense system. 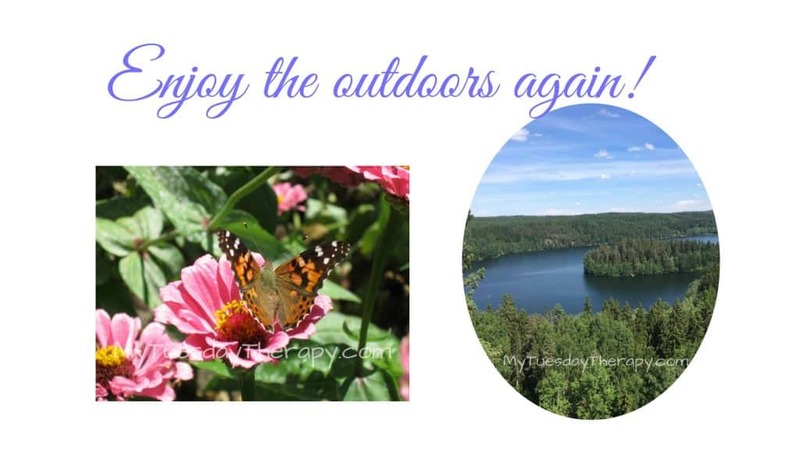 Enjoy Your Life Throughout the Year! 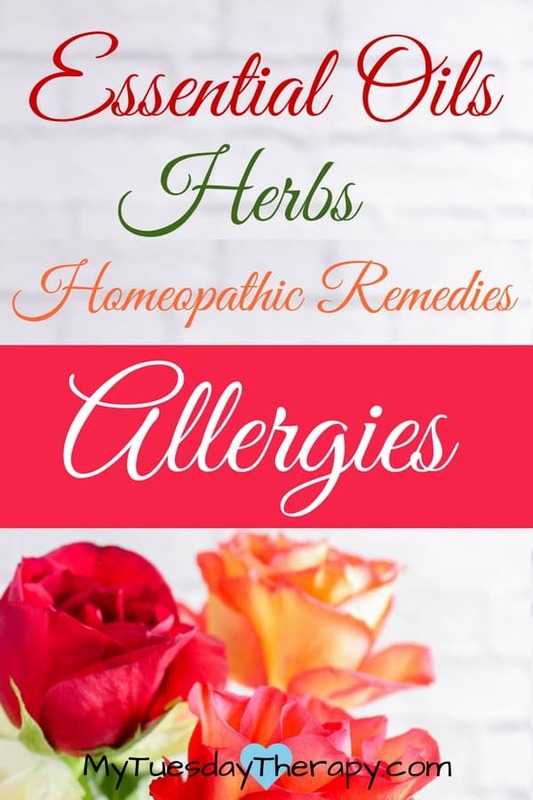 I hope that these natural allergy remedies will help you and that by strengthening your immune system your allergies will fade away and you can go about your life without rubbing your eyes and sneezing non-stop. Best Natural Cold and Flu Remedies.